"""SIMPLE STRATEGIES YOU CAN USE TO BECOME A MILLIONAIRE Confucius said that a thousand-mile journey begins with a single step. The same principle applies to becoming a self-made millionaire, except this journey is a little shorter, comprising just 52 commonsense practices. Featuring interviews with a wide-ranging list of self-made millionaires, you will be astonished to see how anyone can achieve this status by creating the right mind-set. You will learn how white-collar professionals, blue-collar workers, small business owners, and even teenagers have joined this million-dollar-net-worth club by methodically and consistently putting into practice the self-made-millionaire game plan revealed in this book. 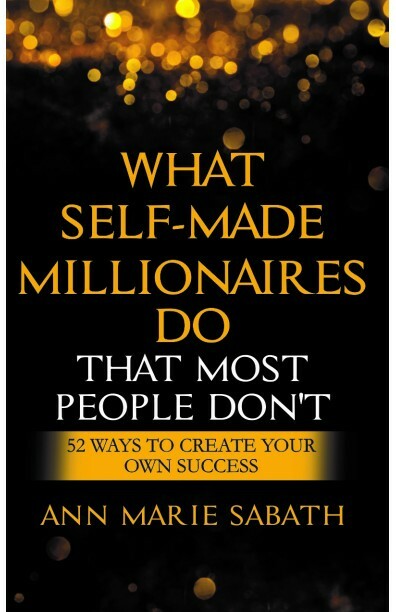 What Self-Made Millionaires Do That Most People Don't will teach you: - How to create a millionaire mind-set - The 25 habits all accomplished individuals have in common - How self-made millionaires benefit from """"failure"" "